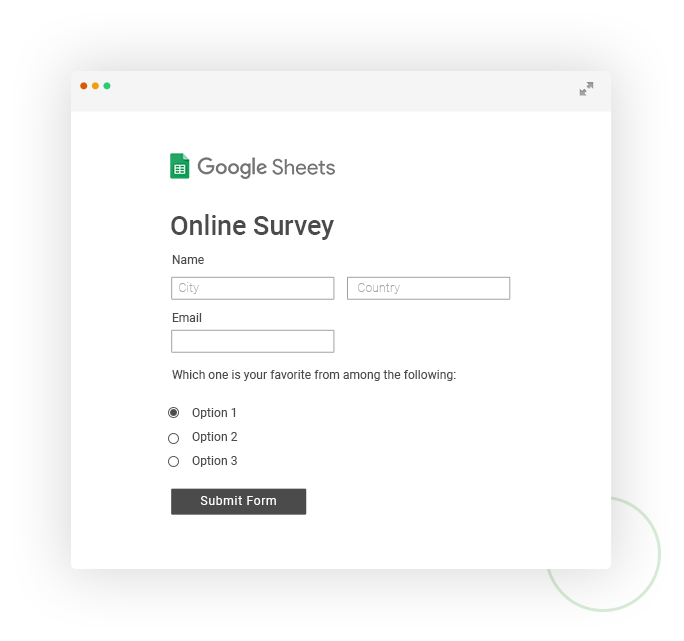 123FormBuilder is a complete, code-free solution for sending form and survey data to Google Docs. Getting your form and survey data into more places lets you do more with it. This page includes everything you need to know about sending 123FormBuilder form and survey responses to Google Docs for fast, easy access to accurate data. ...all in minutes, without writing any code! 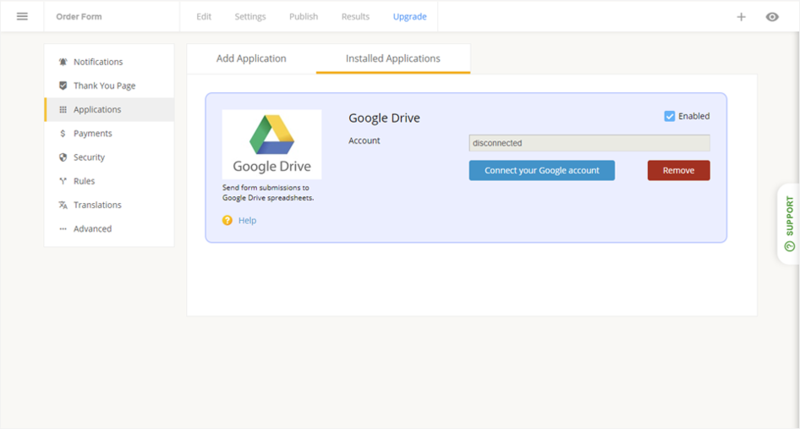 That’s all you need to do to enable Google Docs integration for your web form! Now you can get form responses directly in your Google Docs, right away. 123FormBuilder helps more than half a million business worldwide create intuitive forms that power all kinds of online transactions. From large companies to charities to personal websites, entities everywhere are creating advanced HTML forms with no need for coding. Drive offers free online storage, so users can keep photos, stories, designs, drawings, recordings, videos – anything. Files in Drive can be reached from any smartphone, tablet, or computer, and users can quickly invite others to view, download, and collaborate on all files without an email attachment.